1. In a 1.5-mL tube, mix 5 p,g of fusion protein with 2X reducing buffer in the appropriate final volume. Boil 5 min, securing the tube's lid to prevent it from popping open. 2. Spin tube briefly to retrieve the entire sample, then load onto a 4-15% gradient Tris-HCl polyacrylamide gel. Load 10 p,L of kaleidoscope prestained standard alongside the Fc fusion protein sample. Run gel at 100 V until standard is well resolved. 3. Compare predicted molecular weight of fusion protein (MWmoiety plus MWmuFc) with molecular weight standard. The predicted and actual molecular weight are often not identical, because muFc may be glycosylated. More important is resolution of a single band that approximates the predicted molecular weight. If the band is very thick, rerun less fusion protein (2 ^g) to rule out doublet bands. Fig. 5 is an example of Fc fusion proteins resolved by SDS-PAGE under reducing conditions. ELISA specific for the protein moiety of interest, as described in Subheading 3.4.4., should be repeated to quantify purified Fc fusion proteins. Fig. 5. An example of SDS-PAGE electrophoretic analysis of a purified/Fc fusion protein (CD25/Fc). Lane A, Fc fusion protein run under reducing conditions. By contrast, a whole IgG antibody (Lane B) is resolved into two bands (heavy chains and light chains). Lane C, kaleidoscope prestained standard. Once the fusion protein has been detected by protein moiety-specific ELISA, the activity of the moiety must be verified. The appropriate activity assay will depend on the native activity of the protein, and must be one in which equimolar amounts of commercially available protein will yield positive results. Consult with the manufacturer to learn what assay is used to validate activity of their product. 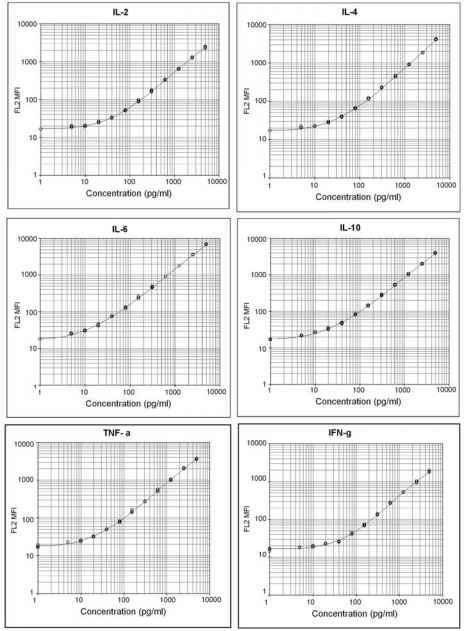 If replication of the manufacturer's assay is not possible, consult the primary literature or an appropriate volume of the Current Protocols series.